An easy way for an individual or small business owner to advertise their services is to hand out business cards to potential clients. Wallet-sized and convenient, the stationary allows for your customers to quickly and easily get your contact information while also giving them the feeling of your professionalism. Whether you are looking for something unique, eye-catching, professional, or any combination of the three, our graphic designers will be able to deliver a design suited specifically to your targeted audience. 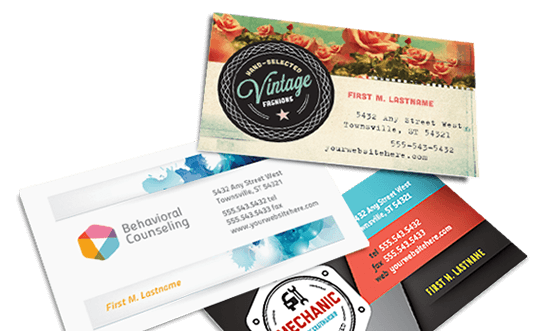 Add some style to your business cards!